Thank you very much for spending some of your times with this Mahallah despite of many tasks to do as we come to the end of November 2015. Embrace the pride and gratitude in your heart. Today, with the grace and blessings of Allah SWT, we are able to come to this Festival despite of rain. 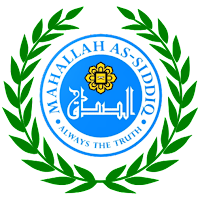 Mahallah as-Siddiq is so unique for this University. This is the land where all of us share the same aspiration, to obtain the knowledge and inculcate the virtue. This is also the land where we meet and greet our friends from 39 countries around the world, which represent approximately 45 percent of residents of this Mahallah. We are so proud to welcome this diversity in this land, where we can appreciate it through unity and integration. That is in line with our National Day Theme for this year, “One Heart and One Soul”. We are not only go for unity and integration, but also for love and respect. Malaysia is well known for transformation – which, according to Dato’ Sri Idris Jala , is about “setting a task so big that it consumes you”. When Dato’ Sri Mohd. 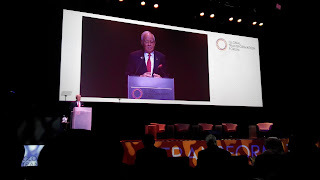 Najib Tun Abdul Razak becomes the Prime Minister of Malaysia in 2009, transformation becomes not only a philosophy, but also a vital principle that drives Malaysia towards the success. It is proofed through the launching of Malaysia’s National Transformation Programme in 2010. The objective was to put Malaysia back on track to achieving a high-income and developed nation status by 2020. Since then, Malaysia has marked significant achievements, which has been recognised internationally.